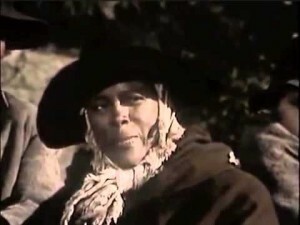 “A WOMAN CALLED MOSES” (1978) – Cicely Tyson starred in this two-part miniseries adaptation of Marcy Heidish’s 1974 novel about the life of escaped slave-turned Underground Railroad conductor/activist Harriet Tubman during the years before the Civil War. 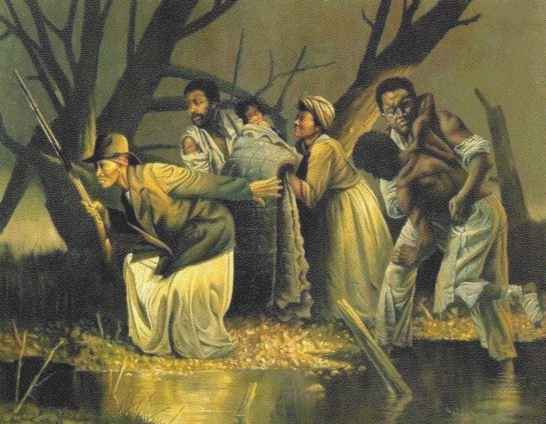 The miniseries’ first half focused on Tubman’s years as a Maryland slave and her escape to freedom in December 1849. The second half focused on her years as a conductor with the Underground Railroad. Paul Wendkos directed. 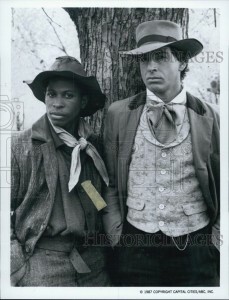 “THE LIBERATORS” (1987) – Robert Carradine and Larry B. Scott portrayed Virginia-born abolitionist John Fairfield and Bill, the escaped slave of the former’s uncle; who become conductors for the Underground Railroad. After the former helps the latter escape from Virginia, the pair reunite nearly a year later to rescue the relatives of African-American freedmen living in the North. Kenneth Johnson directed. 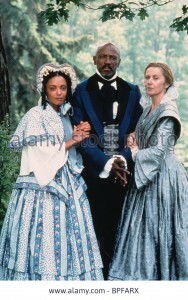 “RACE TO FREEDOM: THE UNDERGROUND RAILROAD” (1994) – Janet Bailey and Courtney B. Vance starred in this cable television movie about a group of slaves who risk their lives to escape from their master’s North Carolina plantation to Canada, following the passage of the Compromise of 1850. Look for the surprise twist at the end. The movie co-starred Glynn Turman, Dawnn Lewis, Michael Riley, Falconer Abraham, and Ron White. Don McBrearty directed. “THE JOURNEY OF AUGUST KING” (1995) – Jason Patric and Thandie Newton starred in this adaptation of John Ehle’s 1971 novel about an early 19th century farmer in North Carolina, who finds himself helping a runaway slave, while on his way home from the market. Co-starring Larry Drake and Sam Waterston, the movie was directed by John Duigan. “CAPTIVE HEART: THE JAMES MINK STORY” (1996) – Lou Gossett Jr. and Kate Nelligan portrayed a Canadian mixed race couple who sought a husband for their only daughter, Mary. The latter ends up marrying a Northern American. Upon their arrival in the United States, he sells her to a Virginian slave dealer and she ends up as a slave in that slave. After Mary manages to send word to her parents, Mr. and Mrs. Mink set out for Virginia to organize a rescue of their daughter with the help of the Underground Railroad. Bruce Pittman directed. Four of the productions on this list – “A WOMAN CALLED MOSES”, “RACE TO FREEDOM: THE UNDERGROUND RAILROAD”, “THE JOURNEY OF AUGUST KING”, and “CAPTIVE HEART: THE JAMES MINK STORY” can be found on DVD. Only “THE LIBERATORS” has not been released on DVD. In fact, I do not know if it has ever been released on VHS.